More than 50 years after they first went up, thousands of faded, obsolete FALLOUT SHELTER signs remain bolted to New York City's buildings, pointing the way to safety bunkers that haven't existed for decades. 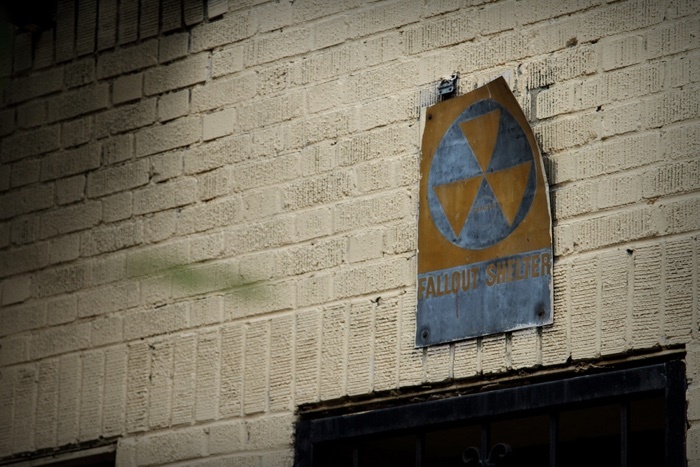 Now, in the first coordinated effort to remove this weathered, misleading signage, city officials are taking down these bleached and peeling relics of the Cold War – because even if the threat of nuclear warfare hasn't gone away, the fallout shelters have long since moved on. It's a long overdue move, some might think, since the signs first went up in the early 1960s under the presidency of John F. Kennedy, as part of a nationwide rollout that ultimately saw some 1.4 million signs produced for the Community Fallout Shelter Program – designed to protect Americans from a Soviet nuclear strike and its subsequent radioactive fallout. "I love seeing the signs, but, as a disaster planner, they have to come down," the deputy director of Columbia University's National Centre for Disaster Preparedness, Jeff Schlegelmilch, told Reuters. "At best, they are ignored, at worst, they're misleading and are going to cost people's lives." Such a worst-case-scenario has been revived in many people's minds more recently courtesy of ongoing nuclear tensions with North Korea, perhaps leading some public officials to finally decide it's time to dismantle what's left of these iconic but outmoded safety notices. "To many, they represented hope for survival amid the destruction of cities," is how The New York Times described the signs in October, in the obituary of their 95-year-old designer Robert W. Blakeley. "To others, they symbolised the insanity of war and the folly of defences against nuclear attack." "Like so many other things in life, you solve a problem and go on to the next thing," he said in a 2014 interview. "I must have just wiped it out of my mind." 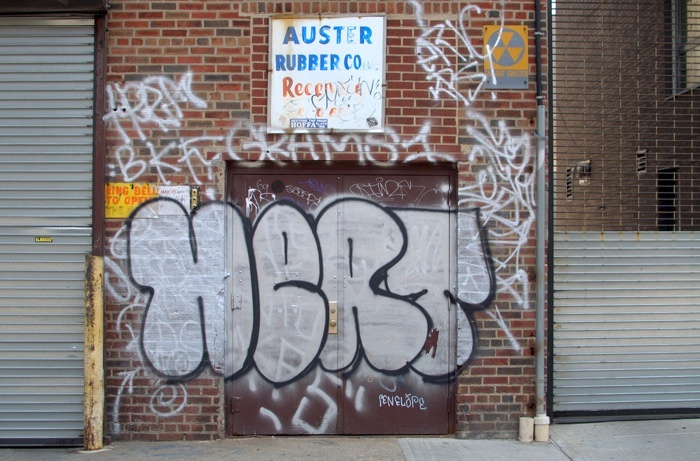 As Reuters reports, NYC's Department of Education is spearheading the new removal effort, confirming that any designated fallout shelters previously established in the city's schools are no longer active – with all remaining signs expected to be taken down by the end of the year. What's remarkable – apart from how long these doom-and-gloom signs have been left standing unattended – is that nobody really seems to know whose jurisdiction the surviving placards now fall under in 2017. Signs denoting some 230,000 shelters were originally erected in New York by the federal government's Office of Civil Defence – but like the shelters, it no longer exists either. These days, the organisation is subsumed under the Federal Emergency Management Agency (FEMA), but despite how historically important these signs are – not to mention the bunkers they once represented – it seems FEMA doesn't keep records of where the old shelters once stood. "FEMA does not have a position regarding the signs," a FEMA spokeswoman told Reuters, and although FEMA doesn't maintain historical lists of shelter locations, "as a part of an ongoing planning effort, the agency is conducting research to retrieve Office of Civilian Defence records." "Fallout shelters do not need to be specially constructed for protecting against fallout," the government's disaster preparation site, Ready.gov, advises citizens. "They can be any protected space, provided that the walls and roof are thick and dense enough to absorb the radiation given off by fallout particles." Well, in New York City at least, an agency called NYC Emergency Management – which, incidentally, also doesn't claim any jurisdiction over the old, defunct signage – will send all residents an emergency alert text message like this: "Nuclear explosion reported. Shelter in basement/centre of building, close windows/doors". Let's hope none of us ever have to read a message like that. If we do, it's fairly unlikely anybody will still be able to read it nearly 60 years later.